4.6" x 4.9" stitched on 14 count. 3.6" x 3.8" stitched on 18 count. 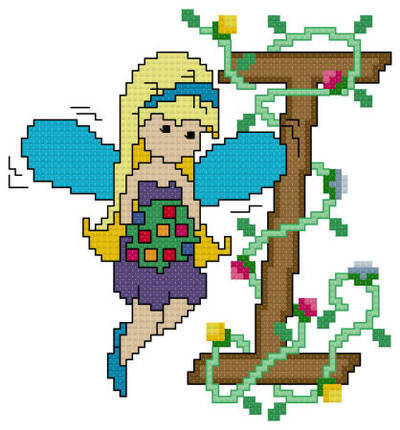 Pixies Initials - I cross stitch pattern... Pixies are symbol of magic and dreams. Every child loves Fairy Tales. Enrich the dream world of children by stitching them this lovely initial... Collect the entire series!!! !